Home / ENTERTAINMENT / We Are Excited, Pepsi Corporate Elite 2017 Is Only 24 Hours Away!!! We Are Excited, Pepsi Corporate Elite 2017 Is Only 24 Hours Away!!! Mehn, if you’re still sitting down on this p, then you’re on a looonnnggg tin! 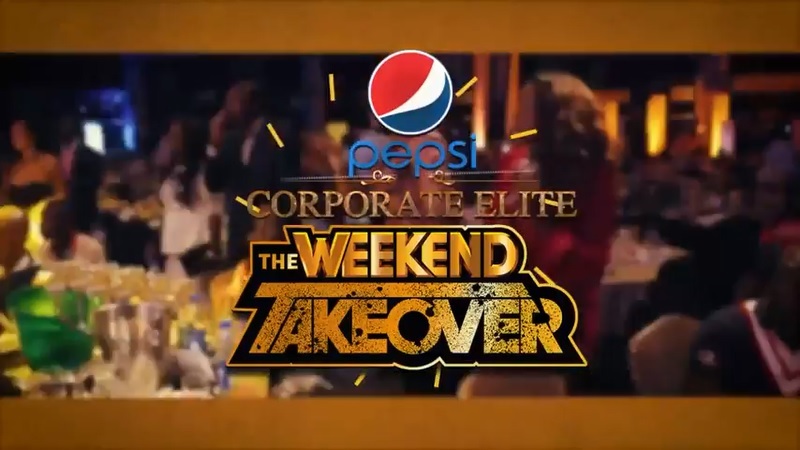 Pepsi is back again with some grand turn up and weekend chills. This one of it’s kind epic show of course comes with the very brightest and best of acts in Nigerian music. Join The Weekend Takeover in a ‘Naija Music Showdown’ that will feature afro sensations Tiwa Savage, Flavour, Tekno, Davido, Falz, Phyno and many more tomorrow Friday, 31st March 2017, and stylishly usher in your new month (April 1st) at the ‘Retro Black Tie Event’ where you get to enjoy spotlight performances from global stars in music history – Sisqo, Next, Blackstreet and Jagged Edge. Venue is Eko Hotel, and time of convening is 8pm. We also recommend that you do not miss it for anything.